Digital SLR cameras in the last few years have been slowly moving towards video. With that in mind there's also a slew of various accessories to make the job easier. The Pixel Expert (LV-W2) positions itself to fit both the bill of a wireless remote monitor with the ability to trigger the camera. I received my pre-release unit from Pixel Enterprises without a manual (it's currently being written) and additional cords for various cameras. The release version will be shipped with the appropriate cables for the appropriate cameras. As all other Pixel products, the packaging follows a similar motif and very efficiently packed. It comes with plenty of bubble wrap which for the most part was unnecessary being that the whole package came in a padded nylon case. The padded case is a nice touch. It seems rather large at first, but it contains all the necessary cables, the transmitter and the receiver unit. 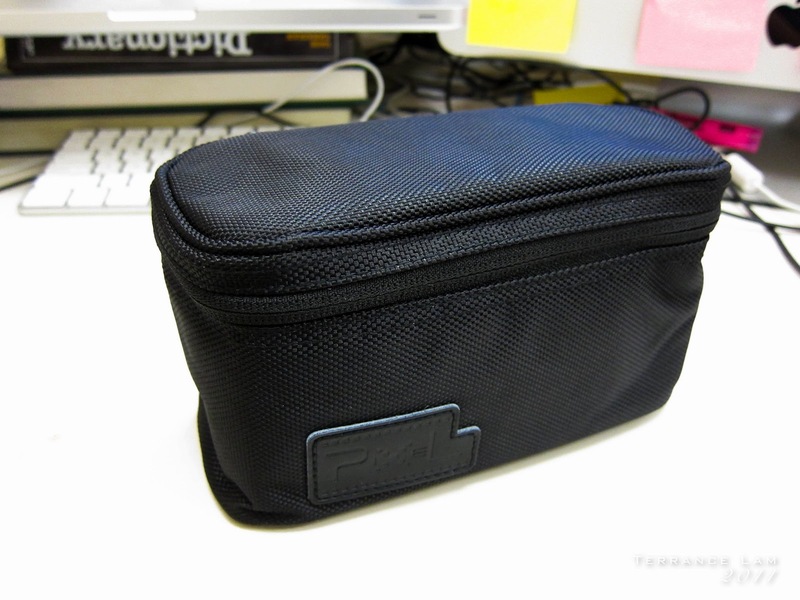 The case also has a belt loop which I doubt I'll ever use, but a nice touch regardless. 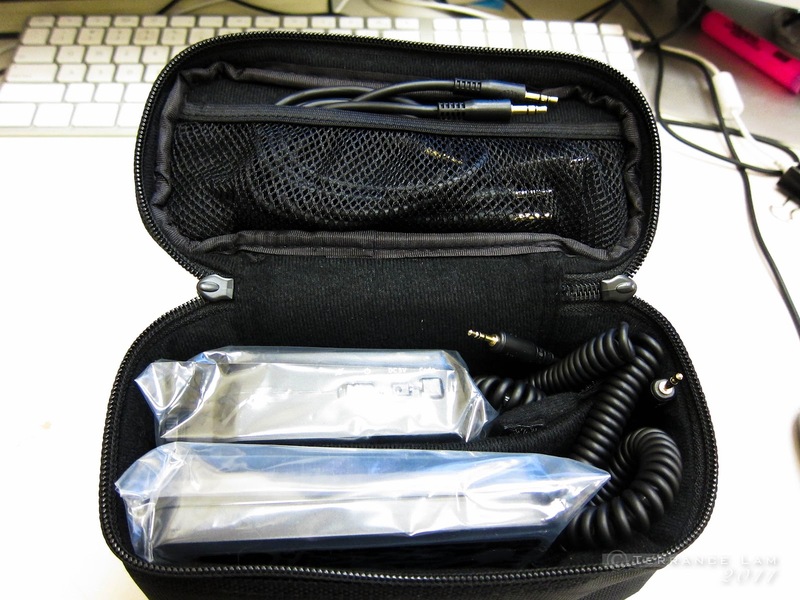 Inside the case, there's several compartments that separates everything neat and tidy. The release unit will come with 2-3 cables (depending on the camera model) a transmitter and a receiver unit. The build quality of the Pixel Expert also follows much of the same build quality of all of their products. Compared to their now discontinued LV-W1 unit this is a refreshing change. The unit itself is much larger but they have moved away from several annoyances that made the LV-W1 a pain to use. 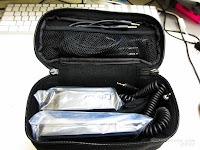 One of the biggest issues was a proprietary micro-USB like connector for a more standard mini-USB connector. Also there are more physical switches for things like power and channel selection on both the transmitter and the receiver. 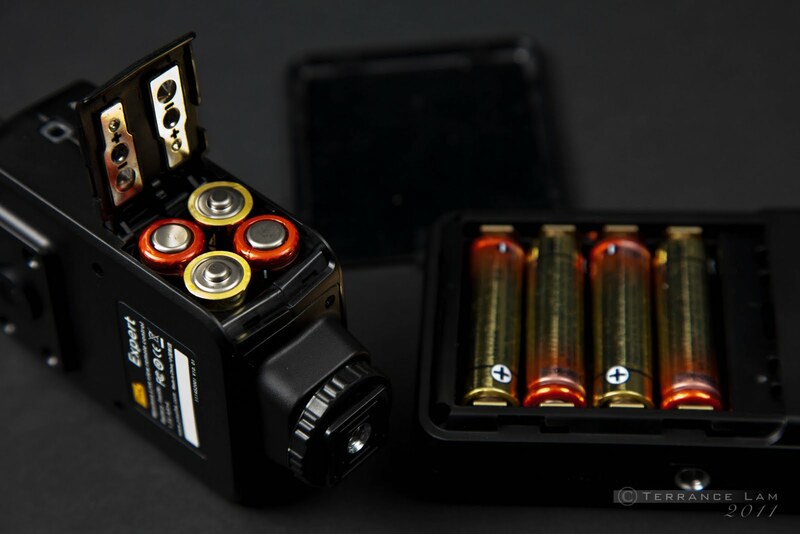 Much of the larger size of the unit is due to the fact that they also changed from a proprietary battery system to the more common double A battery. 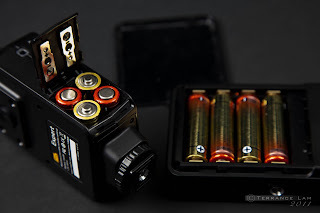 I wish they used smaller triple A batteries just to keep the unit size down, but frankly the move away from the other batteries sits just as well with me. The transmitter is much larger than the one on the LV-W1 but seems light enough and sits well on the camera. I'm not a huge fan of the plastic hot shoe and would have liked it to be metal but I appreciate that to keep costs down that they might have taken this approach to keep the amount of functions they have added to this unit. The power specifications are slightly better than the LV-W1 with the transmitter unit with a 100 hours on standby and 10 hours of continuous operation, and the receiver with 500 hours and 12 hours of continuous (this is the reported specs on 1.2v 2400mAh batteries). I used alkaline batteries in my tests but it's good to see those kinds of specs with rechargeable batteries. The single most interesting thing about this unit isn't so much about the wireless liveview remote functions, but the new CCTV camera that is built into the transmitter. At first this odd ball feature threw me off but I quickly realized the benefits of having the CCTV on the transmitter which will be a nice added function to those working with multiples cameras. Being able to have multiple cameras set up, the liveview on most dSLRs will not stay on permanently (mostly due to potential overheating issues). This added feature gives you the option to monitor what is in the view of the CCTV at the time and to trigger the shutter if you see something that is in the approximate viewfinder. The CCTV displays a rather wide view and also off axis view of your scene, however you can zoom in your CCTV mode to look at details, and decide if you want to press the trigger release to lock the image in. This function will be very handy if you're photographing an event and want to have cameras located at specific locations. However I should also point out that if you think that this is a great feature for video, think again. At least with both my Canon cameras, hitting the remote button only fires the shutter and does not activate the video mode. However this unit can be useful for video when used as an independent reposition-able monitor. This is very useful when you want to have your monitor well in front of you when you're shooting video. There's a 1/4 thread on the monitor, so it's just a matter of mounting it onto a ball head and on some sort of armature that can be positioned anywhere. There is a pressing question on who will find this device useful. Part of having the ability to control things remotely is being able to control more than just the shutter functions and to view this remotely. At the time of this publication, Pixel is working on other software/firmware functions to this unit, which means it is possible to extend the function of this beyond what it's currently capable. The most important thing about this unit is the improvements they did from the original LV-W1. It's far more stable and the image quality is a significant improvement over the old unit, however it comes at a cost of being much larger and with some functions that seem to be pointless (such as being able to use this unit to listen to audio wirelessly but requires quite a configuration of cords to make it useful when recording video and the ability to capture low resolution stills off of the CCTV camera). The range is much better, and the video quality is great. The people that will likely gain the most benefit from this unit are those that use right angle finders or put their cameras in very awkward and hard to reach or position vantage points. As a macro shooter, I appreciate the ability to have the remote unit in my hand where I can view most of what is going on and adjust as I see fit. 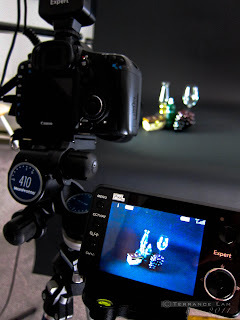 It certainly justifies the reasons why some of the consumer models of dSLRs have the articulated screens. 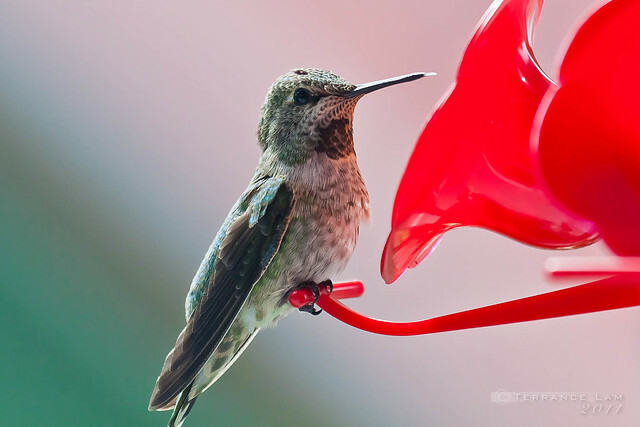 One such benefit is to be able to set up my humming bird feeder and to have me sit in the comfort of my living room waiting for one to come visit without startling it. The results are well worth the ability to hide well away from my shy subjects to capture them on my camera. How does thing connect to the camera? transmitter connected to camera via USB cable? mvadu it connects with a USB/AV cable and a sync cable for triggering via the transmitter on top of the hotshoe. Is the image same image as what camera is seeing or what the cctv on top of camera. It's both Anonymous. You can switch between both the CCTV or the Liveview feed. Have you try this with a Canon G12? It won't release the shutter if I set the receiver to single, time delay modes. The camera is on single shooting mode. If i set it to continue, it does release the shutter. Hi Oat. I have not tried it with the G12 so I can't really comment much on that and don't have access to one. That sounds a bit odd with the release and you might want to contact Pixel just to verify that this is the normal. It seem to work find with my 5DII and 7D but with the G12, I can only trigger it with continue mode on the receiver. Hi. Any idea how this compares to the Hahnel Inspire equivalent device? 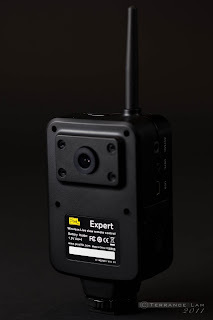 Hello, I use a canon 5D MKII with my remote "PixelExpert", I am in "LiveView" mode with my camera, and I would like to know, how making the focus with the remote control PixelExpert? with, which button of the "Pixel Expert", can I do the focus ? pichonpa, I'm not sure if that is possible. I'll have to check with mine to verify that, but I believe you can only do that with liveview off and to only use the CCTV mode. I have a 5d2 and want to mount it on my ultralite wing and remotely trigger the video record on and off. I'm not sure by what you said if it will do this. Hi Chris, this will not trigger the Video on or off. The problem with the 5Dmk2 is that the Liveview shuts off and has no way of reactivating remotely, at least with the Expert finder. The only way that I know with the 5Dmk2 to do this is with the IR remote (it's also possible with a Canon branded wired remote but I'm not totally certain). The move mode is triggered by the SET button on the 5Dmk2, so you need a remote that can send the same signal that mimics that button. Obviously people who shoot cinematic movies with the 5Dmk2 have a solution, but I also warn that the sensor will get pretty hot if it stays in Liveview all the time. Thanks for your advice Terrance! Hi Terrance, if I understand correctly this will show anything from the camera LCD to a remote LCD - let say picture preview? Is that right? Marin, that is correct. In fact if live view is off, then what is displayed on the LCD is what is shown such as specs and such. You can still press the shutter with live view off, and if you have the preview on it will show that. I did test the distance and I was able to get 100 meters with no issues. I've never tested the full 200 meters which is more than a stadium. It works fine in gyms but that's well within 100 meters. I have no idea who you can buy directly in Austria or Germany, but you can certainly find it easily through eBay sellers in Hong Kong. to trigger the Video by wireless remote control (EOS 60 D) I use "Magic Lantern" Freeware. In Video settings, set "Movie record key" on "Halfshutter". Video triggering will work with cable or wireless remote controls.The Software is at time avalable for EOS 5 D, 60 D, 600 D.
Pixel Expert Liveview remote control is in Germany avalable e.g.in Foto-MorgenShop,http://www.foto-morgen.de. Hope you can provide some feedback on the focusing. Is there anyway i can select focusing points on the remote screen? Will this be useful for self photo taking if for example i am travelling overseas alone and there is no one around to help take a photo? You won't be able to control/select the focus points remotely. You can pre-select it, and then look at the remote to see if focus has been locked. You should be able to use it still for self portrait, but you can't pick the individual points from the Pixel Expert wireless unit by itself. Ah ok, thank you very much for the information, not as useful as i think it will be. DO I HAVE TO MAKE SOME MORE DIFFICULT CONFIGURATIONS TO GET THE AUDIO&VIDEO TOGETHER? I GUESSED THERE MUST BE A KIND OF PROBLEM TO USE AUDIO WITH VIDEO. I AM JUST COMPARING THIS LV-W2 WITH GIGTUBE WIRELESS 2 IN VIDEO QUALITY AND OTHERS. can i record the video with this LV-W2 wirelessly? I don't really recommend either for remote controlling video. The only cameras I might consider this is with the latest generation of Canon cameras (the 5Dmk3, the T4i and the 1Dx). The reason is that shutter control does not wake up a unit when triggered to movie mode. Only the latest generation of cameras do this. Both the Gigtube and the LV-W2 works only if the camera is in wake mode. You can sort of control this by changing the time out modes, but this will kill your battery. Even then, I still don't find this ideal and not a replacement for a proper video control monitor like a Marshell monitor. However both will work remotely to turn on recording, but it doesn't do much else other than that. also you can record video off the unit, but it's in half NTSC video and I think only at something like 12-15fps. It's not really a good solution. Pass through audio is not great either. I'd only use it to hook up maybe headphones, and with a bunch of converter cables to do so. It is still better for a separate unit for audio. Will this unit work on an original 5D ? ( i mean the first version of the 5D). It will certainly work as a remote, and the internal camera will work. I believe you can send analog video to a monitor from the 5Dc (not true tethering). If this is the case then the unit should work 100% with the 5D for that, but I'm not completely certain of that function. Thanks Terrance Lam nice posting.I AM JUST COMPARING this LV-W2 WITH GIGTUBE WIRELESS 2 IN VIDEO QUALITY very interested.Digital SLR cameras in the last few years have been slowly moving towards video. With that in mind there's also a slew of various accessories to make the job easier.Digital SLR Cameras. Not sure if this is the ideal system for the Nikon D200. You'd be better off with a tethered laptop or computer solution. I don't know for certain what the live video output capabilities of the D200 are to be honest. Here's a simple question for you. If you can hook your D200 up to a TV, and then view it on screen of what is being viewed on the D200, then yes, the Expert with the right cables will work. But if it doesn't then you need to explore tethered solutions, and even then I'm not totally certain if the D200 is ideal for that. 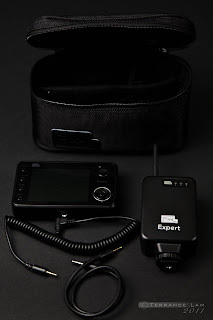 Does the Pixel Expert LV-W2 have the capability of allowing the camera to zoom in and out remotely? Unfortunately no. It's not a full media controller like that. You would want to look for something that is more like a follow focus system that is used by video people. Does the Pixel Expert (LV-W2) support Nikon D7000 Live View Movie-Record such as start and stop video recording? I'm not completely certain it does, and don't want to say yes. The start-stop features is very dependent on the firmware on the camera and how it treats shutter releases. 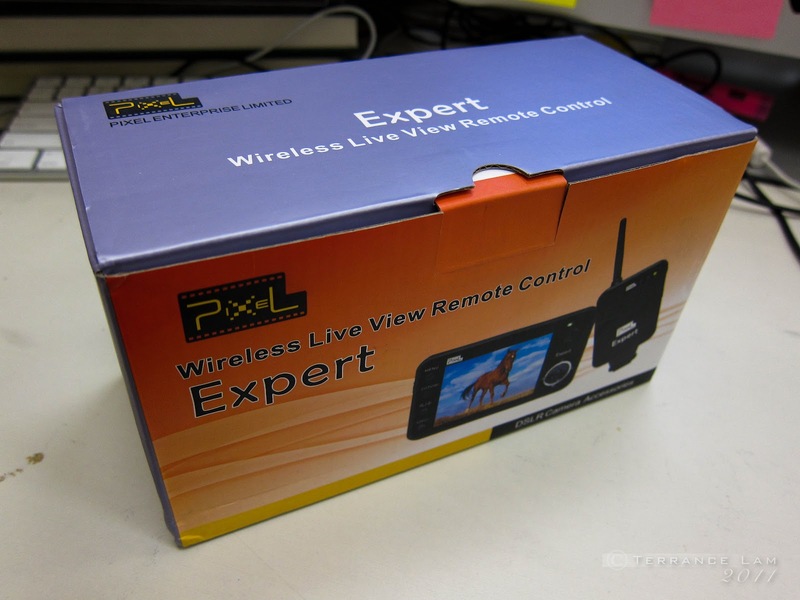 If the D7000 can start and stop video recording with a standard corded remote, then the Pixel Expert (LV-W2) will do the same thing. I think you have the wrong cables going to the wrong place. I don't have the unit in front of me at the moment to verify, but you need to make sure the correct cable from the liveview unit goes into your camera's remote plug-in. Which camera are we talking about. Once i have the unit in front of me I'll have a look and see if I can confirm it. this might be a firmware issue as well. Check the pixel site and see if they have a firmware update. You should still be able to switch back and forth from the CCTV to the AV and see directly on the monitor what the liveview sees in the camera. If not, then I still think you have the wrong cables. Also make sure the channel settings are correct. I used to help pixel with their manuals, but they have stopped using me for help. Unfortunately their documentation is horrible and unfortunately there's lot of confusing cable combinations that can happen that don't work.